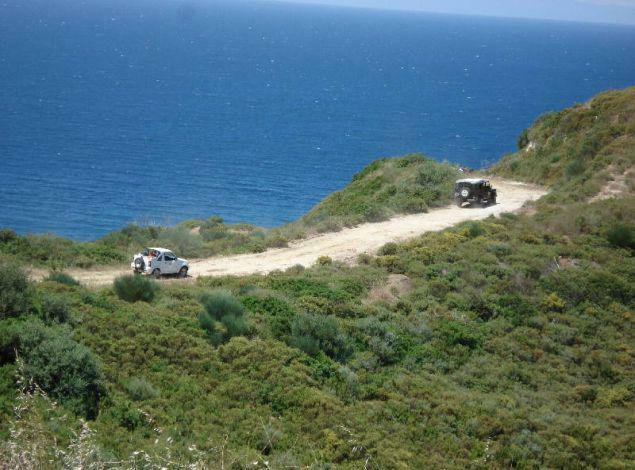 With the Jeep Safari discover the beauty and the real side of life in Greece, in a way which cannot be seen by a normal touring. Come with us and explore the natural life of Halkidiki in Kassandra, with views which will never be forgotten, looking across the Aegean Sea and the Toroneos Gulf and touring through olive groves and experiencing a trip of a lifetime, including the sittings of water turtles. We will stop for a break to enjoy a coffee and the Greek way of life! After a short stop, we continue our tour exploring the countryside of both peninsulas, taking in the aroma of pine trees and seeing goats climbing mountainsides. We will also stop for lunch at a traditional Greek tavern, eating fresh fish beside the sea. After our lunch we will start our return journey to your holiday accommodation.